Having Jack Whitehall voice your introduction to the stage for your Fringe debut could go either way with some audiences. 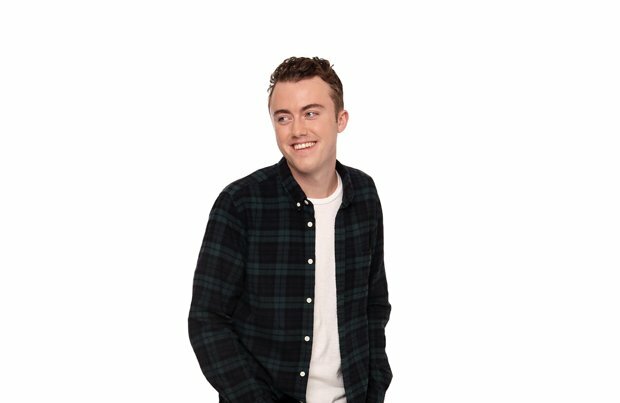 But with a cheeky charm and constantly giggling demeanour, Tom Lucy is more than skilled enough to bring back anyone into his fold who might have immediately wavered. The 21-year-old might proclaim this to be the most curious audience he's had during his August run to date, but you get the feeling he says that to everyone. Once he gets down to the material (and away from trying to tease out snippets from uncommunicative front-row folks), there's lots to enjoy about this camp but not-gay Guildford lad. Lucy amusingly discusses his unlikely ailments (gout and piles for two) while pondering the joy of boobies (it is with a sheer relish that he lovingly curls his tongue around words such as 'gout' and 'boobies') and figuring out which TV chef is most despicable: Jamie Oliver or Gordon Ramsay. The antithesis of an 'alpha-male geezer', Lucy has been blessed (or lumbered) with a voice that's an ear-bending merger of Alan Carr and Frank Spencer, but it's one he mainly puts to good use with a set that zips by pleasurably. Acknowledging the disparate nature of his debut, the lack of a solid theme (often the Fringe comedian's curse), means that he scrambles around for the last five minutes in a frenzy of call-backs to give his show a sense of closure. Pleasance Courtyard, until 27 Aug, 6pm, £7.50–£10 (£6.50–£9). Observational comedy from Tom Lucy.